Connor McDavid becomes NHL's youngest captain. Do you agree with the Oilers decision? Connor McDavid: Youngest Captain in NHL History, Future Art Ross Trophy Winner? 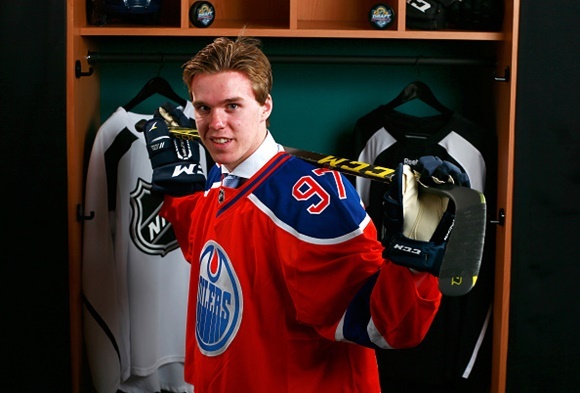 12 Oct Connor McDavid: Youngest Captain in NHL History, Future Art Ross Trophy Winner? As a highly-touted 15-year old, McDavid was granted Exemptional Player Status and was allowed to enter the 2012 OHL Priority Selection Draft, where he was selected 1st overall by the Erie Otters. McDavid took the OHL by storm in 3 seasons with the Otters, piling up an impressive 285 points in 166 games and adding another 68 points in 34 playoff games. He was also named Captain during the 2014/15 season, his final one in the OHL, in which he put up a ridiculous 120 points in 47 games en route to OHL and CHL Player of the Year. He ended his OHL career after 3 years by entering the 2015 NHL Draft at age 18. Following an impressive OHL career for the Otters, McDavid was selected 1st Overall in the 2015 NHL Draft by the Edmonton Oilers. McDavid was highly touted going into his first NHL training camp, and he didn’t disappoint making the Oilers opening-night roster and ending any speculation he wouldn’t make the jump to pro at 18. He got off to an excellent start, scoring 5 goals and 12 points in his first 11 career games and looked well off to winning the Calder Trophy. However, on November 3rd against the Flyers he fell awkwardly into the boards after colliding with two Flyers defensemen and broke his collarbone, an injury that ended up costing him 27 games. He finished the season with 16 goals and 48 points in 45 games, good enough to get him nominated for the Calder which would ultimately be won by Hawks forward Artemi Panarin. Despite the injury, everyone got to see just how good #97 is and how dominant he will be in the near future. 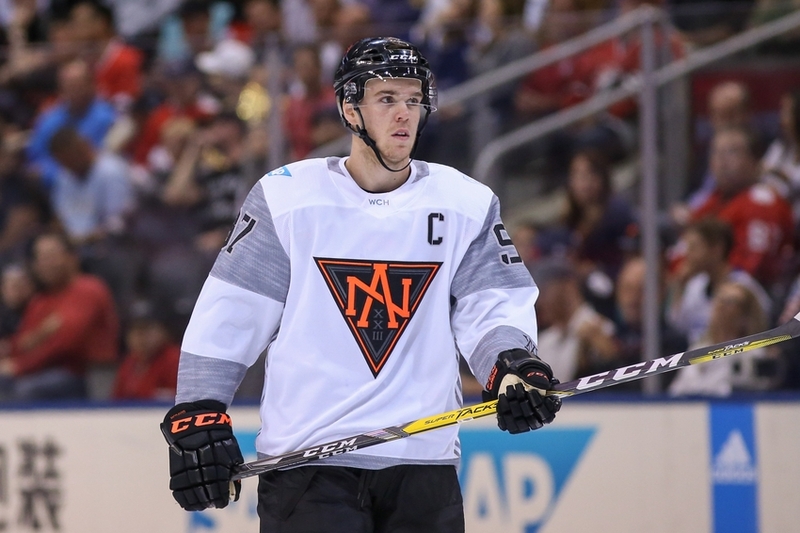 With the return of the World Cup of Hockey in 2016 after a 12-year absence, McDavid was chosen to represent Team North America joining a group of elite young prospects all 23-year old or younger. The Head Coach of the team was his Oilers coach Todd McLellan, and same for the GM in Peter Chiarelli, so there was some familiarity there despite being one of the youngest players in the tournament. This also lead to him being named Captain of Team North America, which many speculated was a test to see if he could handle the leadership for his future role in Edmonton. McDavid had 3 assists in 3 games at the World Cup, with Team North America being the talk of the tournament despite not advancing past the group stage. McDavid has represented Canada 4 times in his young career, winning Gold 3 of those times. He won Gold at the Under-18 World Championship in 2013, leading the tournament in goals (8) and points (14). Following that, he represented Canada twice at the World Junior Championships; they finished 4th in 2014, but he was a big part of Gold Medal-winning team in 2015 (11 points in 7 games). He was the youngest member of Team Canada at the 2016 World Hockey Championship this summer, where McDavid had 9 points in 10 games including scoring the winning goal in the Gold Medal game. Despite being just 19 years old, many people have speculated that McDavid would have been in consideration for Team Canada at the World Cup had he been eligible. Either way, he was a very bright future ahead in international hockey representing the Red and White. Assuming that McDavid stays healthy throughout the season, he has the potential to be well over a point a game player. I’m predicting that in his 2nd NHL season he will reach the 30-goal and 100-point plateau for the first time in his career, and that will win him the Art Ross Trophy (Sidney Crosby 102 points, Patrick Kane 100 points). This is well in part to the fact that McDavid has steady linemates heading into the season in Milan Lucic and Jordan Eberle, a group that could be one of the highest scoring lines in the NHL this season. Both Lucic and Eberle have only reached the 30-goal plateau once each in their respective careers, but playing with McDavid could be the boost that both of them need. Either way, this is going to be an extremely fun line to watch when they are out on the ice. While McDavid is in for a big year, let’s not overlook truly how good both Gretzky/Crosby’s sophomore campaigns were: As a 19-year old Gretzky lead the league with 137 points, including scoring 50 goals for the 1st of 9 times in his career and 100+ points for the 2nd of 15 times in his legendary career. While Crosby’s 120 points in 2007 is the best single-season total of his career and no player has put up more than 113 points since. The fact of the matter was Gretzky and Crosby both had their sophomore seasons during transition periods in the NHL. 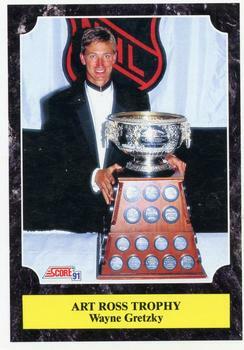 Gretzky won the Art Ross in 1980 with 137 points, and this was really the start of a decade of high-scoring hockey in the 80’s. Sidney Crosby won the Art Ross in 2007, and it’s been well documented how much the NHL changed post 04/05′ lockout that allowed the game to open up offensively. The bottom line is this: it is must-watch hockey every time #97 is on the ice. Connor McDavid is the real deal folks.